WPP’s branding and design agency Brand Union Singapore, has partnered International Table Tennis Federation (ITTF), the global governing body for table tennis, in developing a new format of the sport. Brand Union Singapore team were given the challenge of collaborating with ITTF to mastermind a completely fresh take on the sport of table tennis and create an overall brand identity and experience that would drive youth participation and add a new dimension to the global appeal of the sport. The announcement of the new format, called ‘Table Tennis X (TTX)’ was revealed at an exclusive event on the opening day of the Rio 2016 Summer Olympics. 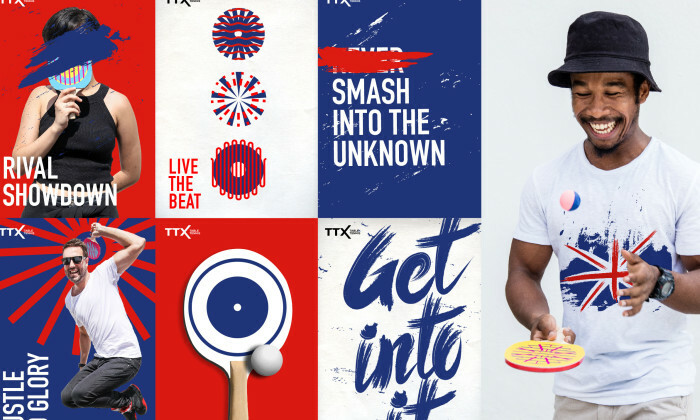 TTX introduces an exciting new time-bound format that will amplify the excitement of conventional table tennis by reducing the skills gap between participants and increasing the level of variety and unpredictability to gameplay. The new sport is not restricted to indoor tables or venues, but is intended to be played anytime, anywhere. Specially redesigned equipment including heavier balls and simplified racquets encourage longer rallies reduce the reliance on spin, making the game more accessible and diverse for a wider variety of players and spectators. Beyond a being new sport, the TTX brand has been created with a lifestyle spirit at its heart, with the ambition of becoming a catalyst for disruption and high-level engagement within the category. The new identity, “Live the Beat”, uses a vibrant multi-coloured palette to convey the inclusive, diverse nature of the new format. Created for an ‘always-on audience’, all of the elements of the identity express the spontaneous, freestyle nature of the experience and its intended audiences. TTX will be rolled out globally in a phased approach over the next few months, with a launch event earmarked for May 2017, at the World Table Tennis Championships in Dusseldorf, Germany. The new refresh will be rolled out across all outlets in Southeast Asia in markets such as Singapore, Indonesia, Vietnam and Phili..